I finished off my little trip to the UK with two days in Edinburgh. And I am so glad I did as it is easily in my top three European cities (please don’t make me choose). I absolutely fell in love with it, and not just because of my handsome tour guide. Edinburgh is absolutely stunning with an air of warmth and enjoyment. Yes, it is full of tourist, but with good reason. This Medieval city offers a compact city centre with a rich history and magical aura. And the Scottish are kind and rightfully proud, so they will be happy to tell you all about it. Two days is not enough to truly take in the beauty of Edinburgh, let alone Scotland. So although I tried, I did not manage to see all the highlights. Unfortunately, I didn’t have a chance to go up to Arthur’s seat or explore the Highlands. But, I went back to Scotland for three weeks in December, and of course, stopped in my favourite city to rack up some more tips. There are several companies that offer walking tours in Edinburgh, my favourite was Sandeman. 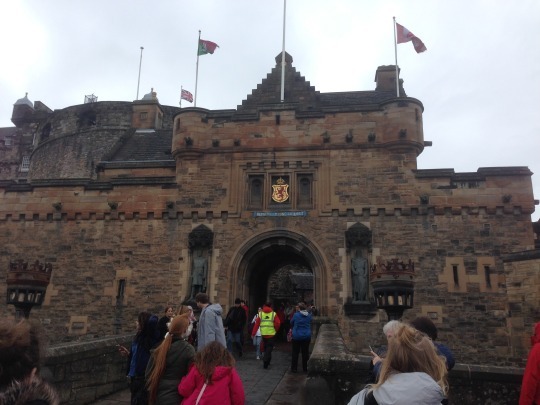 Their free walking tour was so much fun, comprehensive and informative that I happily paid to go on the Castle tour and New Town tour as well. I even made friends with two Swedish brothers who were kind enough to take this lovely picture of me (you can see them reflected in my sunglasses). 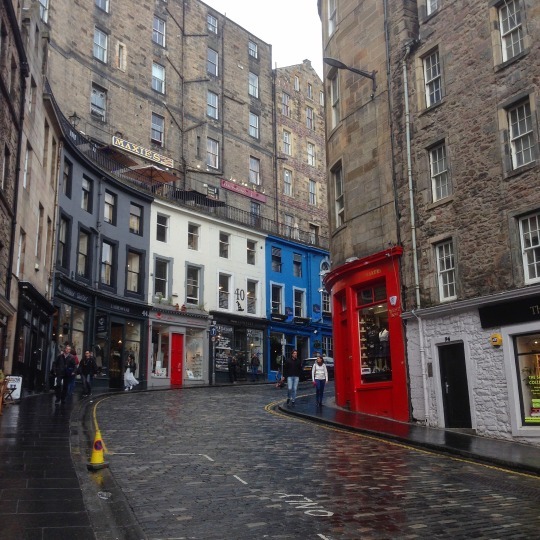 Edinburgh is not very large so a walking tour is a perfect way to see the city with some more historical context. The main road of Edinburgh, the Royal Mile, goes from the Palace to the Castle. Edinburgh Castle is actually a fortress and is still used a military base. It has a fascinating history, in my opinion, best enjoyed on a tour. Edinburgh is where J.K. Rowling lived when she wrote Harry Potter, and she heavily drew inspiration from the city. It is easy to see why as Edinburgh, with its winding little roads and Medieval architecture, invokes a feeling of mystery and magic. There are plenty of references to the franchise throughout the city, such as ‘Diagon Alley’ (pictures above), Greyfriars churchyard and Heriot’s School. Edinburgh houses several great museums. 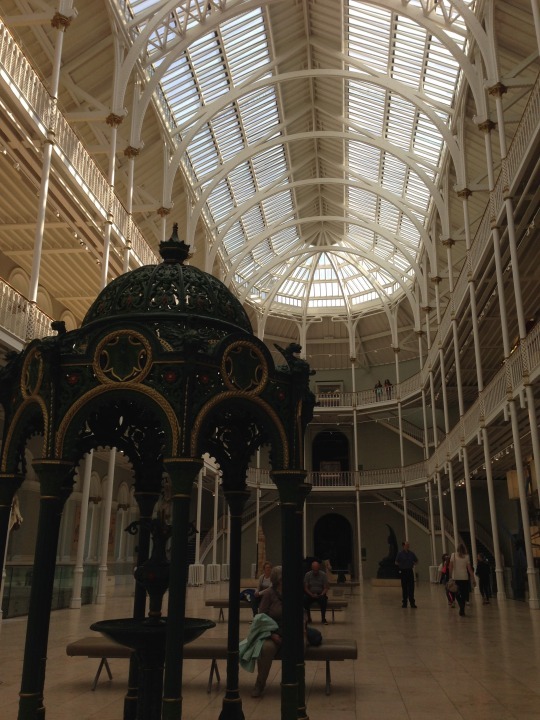 The National Museum of Scotland (pictured above) has some breathtaking architecture. Although the expositions are especially suited for children, their information on Scotland is very interesting and the rooftop offers a spectacular view. I would also recommend the National Gallery for lovers of art. 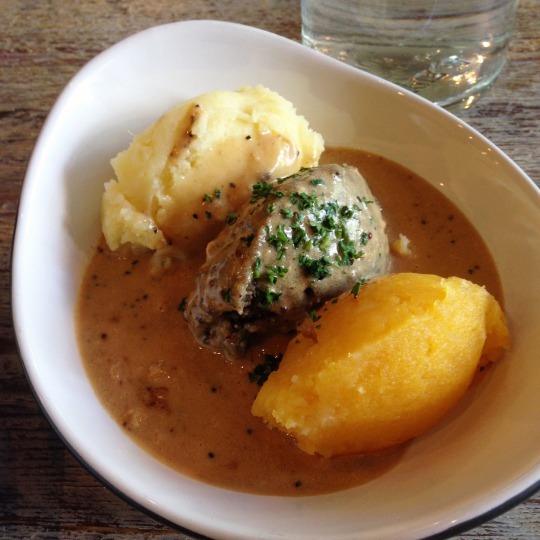 When in Scotland, you have to try haggis. I know that it sounds gross, but trust me, it is actually delicious. My favourite is from Makar’s Gourmet Mash Bar where you can get a taster menu to ease you into it. Are you tired of greasy food? Head over to Hula cafe, where you can satisfy your hipster health food craving with a smoothie or fruit bowl. And don’t forget to go to a pub to try some local beer and whiskey! One post really isn’t enough to do this city justice. 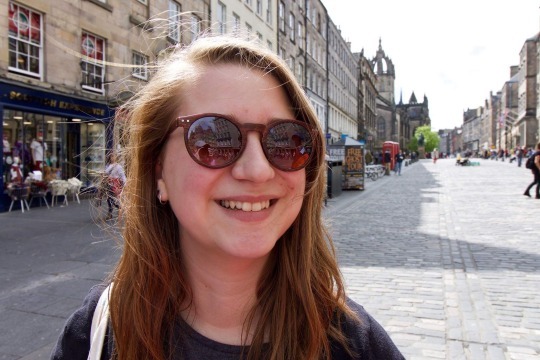 So check out More things to do in Edinburgh as well!